Nate and I were in St. Louis for four days this past week. Whilst packing, I put this tweet on the twitters. 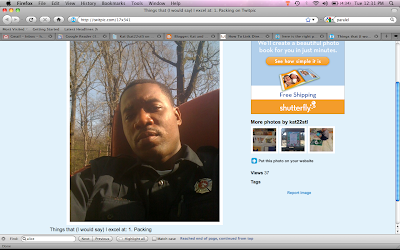 Which, while I'm sure this is a picture of a very nice man (and a firefighter! ), is not exactly what I had in mind to pack in my suitcase! Karl called me about thirty minutes into my drive laughing hysterically. I made him post a corrective tweet with my suitcase image! 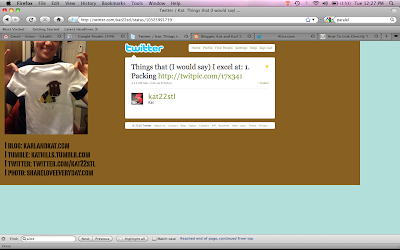 Ahhhh I love it when the internet has an accident. 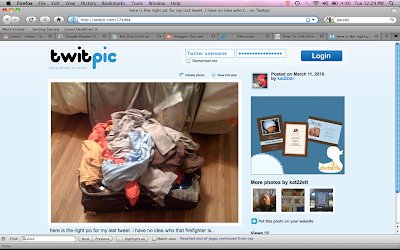 I wonder if someone hoping to see a picture of their firefighter was disappointed by the image of my hastily packed suitcase. I saw that! I was all like, not bad, girl, not bad-at-all. oh I'm sure he's packing all right.